“Half Empty” is a 12-part series for China’s state-run China Central Television (CCTV) network that focuses on the country’s water crisis, its causes and the efforts underway to address problems ranging from urban water shortages, contamined groundwater to desertification in Inner Mongolia. In episode five, reporter Han Bin tackles the challenges facing China’s wetlands and, in particular, Lake Poyang, China’s largest freshwater lake located on the southern bank of the Yangtze River in east China’s Jiangxi Province, and one of the most important wetlands in the world. Lake Poyang was also the subject of a 2014 Probe International study that explored the link between the lake’s shocking dry-up and the disruption to a once thriving floodplain caused by the Three Gorges Dam, one thousand kilometres away on the Yangtze’s upper reaches. Satellite images, cited by the Probe International study, “Is the Three Gorges Dam to blame for extreme drought in the Lake Poyang area?”, show Lake Poyang’s total surface area — once 3,500 square kilometers — shrank by 90% to 293 square kilometres at the end of 2013. Meanwhile, water levels in Lake Poyang dropped from the normal 12.22 metres above sea level to 7.99 metres, the lowest recorded level in decades. In “Half Empty: Remote sensing monitors wetland fluctuations,” Han Bin learns that satellite and remote sensing found Poyang had shrunk by 30 square kilometres every single year for the past decade. 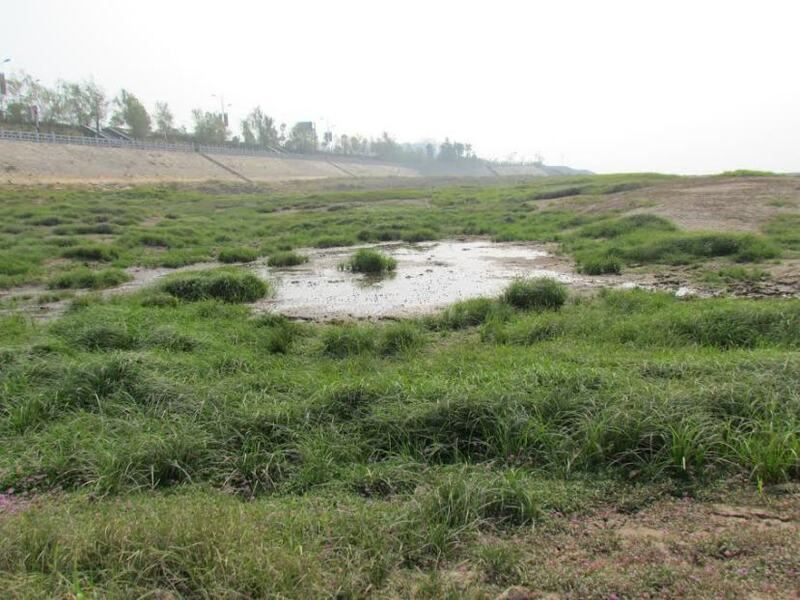 Similar to Probe International’s findings, the “Half Empty” report tracks the lake’s shrinkage to the dredging of Poyang’s lakebed for its premium quality sand — which, despite a seasonal ban, remote sensing has found still continues in secret — as well as the Three Gorges Dam which the CCTV news program says “likely” contributed to the lake’s drawdown “though scientific evidence is needed”. Remote sensing reveals that since the 1970s, Lake Poyang has diminished from edge to center and is now overcome by encroaching marshland and risks vanishing altogether. A challenge Chen Xiaoling, a professor at Wuhan University’s State Key Laboratory of Information Engineering in Surveying, Mapping and Remote Sensing (LIESMARS), told Han Bin all of China’s wetlands faced. Professor Chen said the management of the country’s wetlands could be improved by strengthened legislation and supervision, as well as greater public awareness. 1 The transitional areas between terrestrial and aquatic systems saturated with water, either permanently or seasonally — such as swamps, bogs and marshes — that provide a range of benefits including water purification, carbon sequestration, flood prevention or moderation, coastline protection, and habitats that support plant and animal diversity.